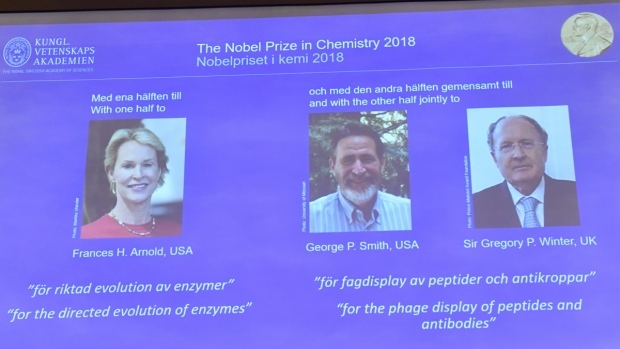 STOCKHOLM -- Winners of this year's Nobel Prize for Chemistry say that excessive concerns about genetically modified foods and other substances can inhibit mankind from benefiting from developments in the field. "We've been modifying the biological world at the level of DNA for thousands of years," Arnold said at a news conference, citing examples such as new dog breeds. "Somehow there is this new fear of what we already have been doing and that fear has limited our ability to provide real solutions."